The Kenwood TK3302 UHF and TK2302 VHF is an ideal high powered licensed radiofor those who need a little more power and transmitting distance than a simple, license free PMR446 radio. The Kenwood TK2302 utilises VHF frequencies, and the TK3302 utilises UHF frequencies. This is the only difference between the two. We have sucessfully placed both the TK3302 UHF and TK2302 VHF in large Secondary Schools, Colleges, Universities, Hotels and Factories across Great Britain. The Kenwood TK2302 and TK3202 is the replacement radio for the now obselete, Kenwood TK3202 and TK2202. There are many genuine kenwood accessories available for the TK3302, please see our accessory category or related products below. We also offer a range of digital Kenwood handheld and mobile radios from their NEXEDGE digital range. 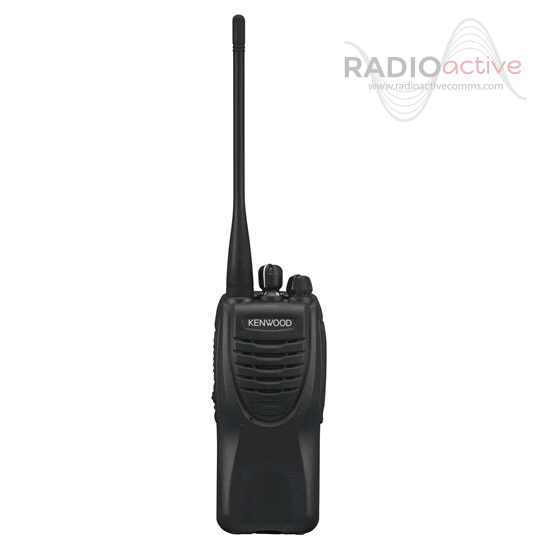 The Kenwood TK3302 is a UHF Licensed Two Way Radio. You will need a UHF Ofcom Licence to operate these. Please contact us with your frequencies upon purchase or we will contact you. Don't know your frequencies? Contact us and we can help you out.